The other week, the same day as the official opening of “The Force Awakens”, a new Star Wars book came out which gives some background of three of the main characters. 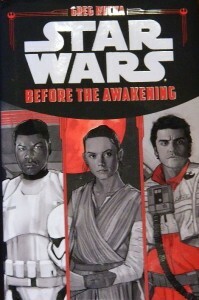 “Before the Awakening”, written by Greg Rucka, is an easy read, designed for a younger reading audience, but it’s enjoyable for all ages. There are three sections, with the first focussing on Finn, one on Rey, and the last on Poe Dameron. Finn’s story focusses on him as a First Order Stormtrooper who shows promise in the eyes of Captain Phasma, but also looks or for his fellow stormtroopers, earning him the rebuke of Captain Phasma. Rey’s story focusses both on her scavenging skills as well as her survival skills, but, more importantly, also provides us with the backstory of how she learned to fly, especially never having left Jakku. Poe Dameron’s story gives us some scenes of his flight skills, but also of how he went from the Republic navy to the Resistance, as well as General Leia Organa’s recruiting him for it. I want to look a little bit at each of these sections and to see what the most important pieces are of these stories and what they tell us about each of these characters. Let’s start with Rey. She wasn’t afraid of violence. She didn’t enjoy it, but she wasn’t afraid of it. It was a necessary part of surviving on Jakku. She’d learned to defend herself early. She had been in more fights than she could remember. More wins than losses, thankfully. She was good enough that the word had spread in Niima to stay clear of her and what she could do with her staff. She could fight. She would fight, if necessary. She’d jury-rigged a computer using pieces scavenged from several crashed fighters over the years, including a cracked, but still-usable display from an old BTL-A4 Y-wing. There were no radio communications to speak of – no way to transmit or receive and, frankly, nobody she wanted to talk to anyway. On the wreckage of a Zephra-series hauler, though, she’d once found a stash of data chips, and, after painstakingly going through each and every one of them, she’d discovered three with their programs intact; one of them, to her delight, had been a flight simulator. So when she wasn’t sleeping or just sitting and listening to the storm or tinkering at her workbench, she flew. It was a good program, or, at least, she imagined it was. She could select any number of ships to fly, from small repulsor-driven atmospheric craft to a wide variety of fighters, all the way up to an array of stock freighters. She could set destinations, worlds she’d never visited and never imagined she would, and scenarios, from speed runs to obstacle courses to system failures. At first, she’d been truly horrible at it, quite literally crashing a few seconds after takeoff every time. With nothing else to do, and with a perverse sense of determination that she would not allow herself to be beaten by a machine that she, herself, had put together with her own hands, she learned. She learned so much that there was little the program could throw her way that would challenge her now. She’d gotten to the point where she would, quite deliberately, do everything she could think of to make things hard on herself, just to see if she could get out of it. Full-throttle atmospheric reentry with repulsor-engine failure? No sweat. Multiple hull breach deep-space engine flame-out? A walk in the park. Rey banked the ship, the maneuver graceful and effortless, and circled back to where they’d lifted off. The sense of movement, the response of the freighter to her commands, had her smiling again. Her flight sim, for all its wonder and entertainment, had never captured that, and how could it? How could it have ever synthesized the reality of that freedom and power? However, although a couple others find about her possessing this ship, they enter into a partnership with her, helping her. However, she doesn’t want to leave Jakku and they most certainly do, so they leave with the ship, leaving her to stay on Jakku. Hux glanced back at the window, surveying the empty simulation room. “Why did you go back for FN-2003?” Phasma asked. “He’s one of us,” FN-2187 said. There were mandatory morale sessions twice a day, when everyone was required to stop what they were doing and direct their attention to the nearest holoprojector to watch a recorded speech from High Command, most often from General Hux himself. Those would be interspersed with news feeds showing the deplorable conditions throughout the Republic: the famines on Ibaar and Adarlon, the brutal suppression of the population of Balamak, the unchecked alien advances throughout the Outer Rim. There would always be at least one story to follow about a First Order victory, the liberation of a labor camp on Iktotch or a fleet battle in the Bormea sector. For his own part, FN-2187 didn’t much care for the morale sessions, seeing them mostly as a waste of time that could be better spent in other ways. 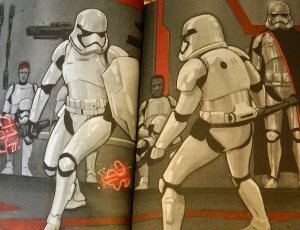 They were all First Order, after all; it wasn’t like anyone could forget who they were or what they were fighting for. He would applaud when he was supposed to applaud and chant when he was supposed to chant and cheer when it was right to cheer. But his heart wasn’t’ in it, and he wondered if he was alone in that, too. Captain Phasma watched FN-2187 on the monitor in her quarters. He’d stopped firing, stopped even moving, and was just standing amid the ever-changing field of moving figures. She sighed. She’d had such hope for FN-2187. He had shown such remarkable promise. He had shown the capacity to be special. He’d be part of the detail when they reached the landing point on Jakku, she decided. Perhaps when someone was shooting back at him, he would understand what it meant to be a real stormtrooper, what it meant to serve the First Order, body and soul. She would give him one more chance, Phasma decided. One last chance or FN-2187 to decide his fate. “That’s a very diplomatic way to put it, but not an entirely inaccurate one.” General Leia Organa exhaled and settled back in her chair…. …for the next few months, Poe found himself putting more cockpit time than he had since training, now behind the stick of an older T-70 X-wing. 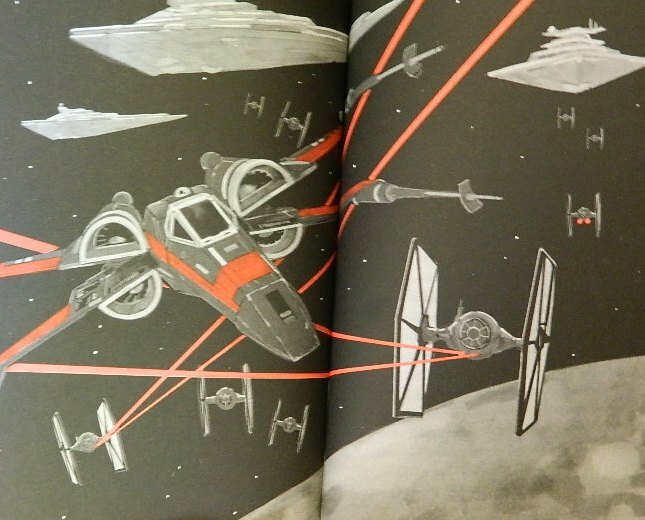 Aside from the early recruiting efforts to find additional pilots, most of it was confined to scouting missions, long-range reconnaissance, searching for signs of First Order movement and positions…. There wasn’t one of them in the Resistance who didn’t see the First Order for what it was, who didn’t believe that its threat was both real and pressing. Despite that commitment, the Resistance found itself stymied. 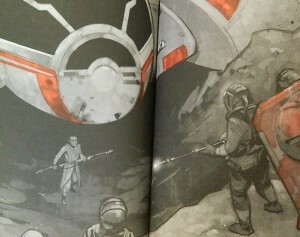 Republic space and First Order space were separated by a buffer zone of neutral systems, and the peace that had been negotiated – a peace that many, including Poe, believed existed in name only – meant that military action taken by one side upon the other was considered an overt act of war. It didn’t seem to matter that evidence of First Order incursions into Republic space continued to mount; the Republic refused to take any action outside of the most formal diplomatic protest. Striking directly at the First Order was out of the question. 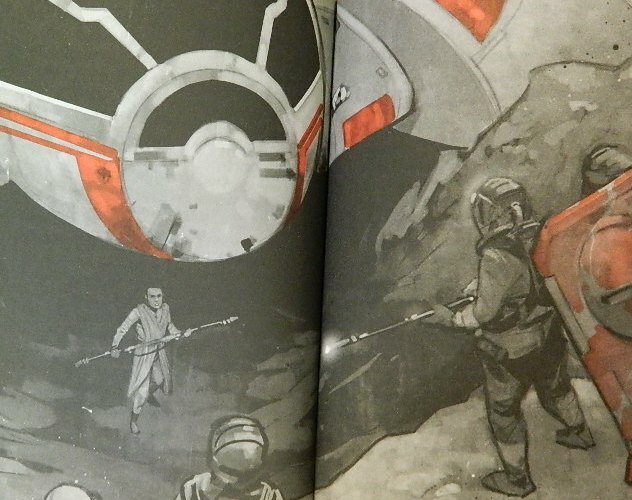 As Leia explained it to Poe, Resistance action had to remain covert, at least until irrefutable evidence of the First Order’s violation of the peace could be presented to Republic Command. She set the data chip in Poe’s palm. Of course, this then leads into the beginning of the movie….